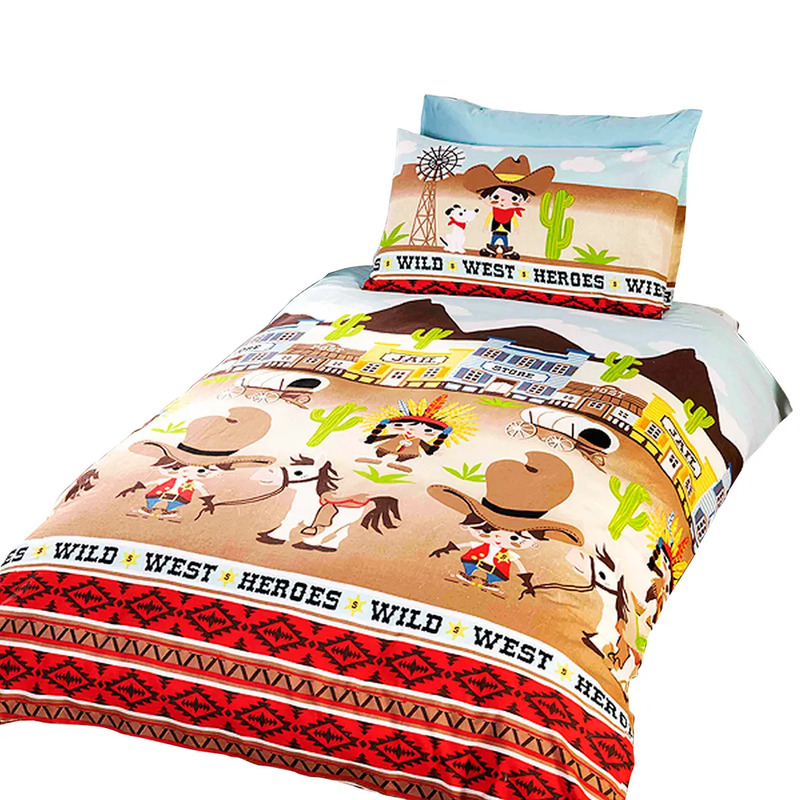 Single bedding set with Wild West design. Duvet Cover: 120 x 150cm. Fabric: 52% Polyester, 48% Cotton.